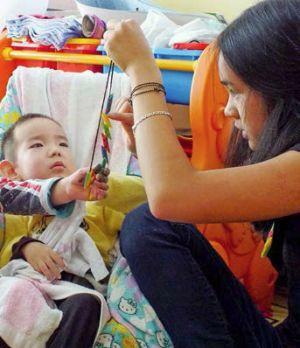 St. John’s Kilmarnock School graduate spends 3 months volunteering at care and nomad projects in Mongolia. Eager to seize the opportunity of experiencing the Mongolian nomadic lifestyle firsthand, Emily signed up with Projects Abroad for a 3 month volunteer adventure at the Nomad Project, as well as the Care Project. 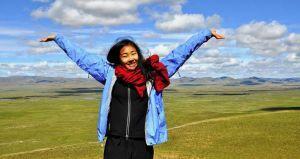 “The setting of the Nomad Project was in the beautiful Mongolian countryside. It was so wonderfully peaceful and serene - and there were lots of opportunities to explore the surroundings and take in the lovely scenery. It allows you to become integrated in a completely different way of life and it really makes you feel like you are truly experiencing Mongolia.” explains Emily. 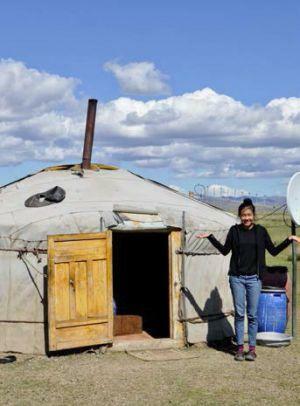 With the Nomad Project, Emily lived with a nomadic family in their traditional ger, a portable traditional Mongolian hut, for one month near the village of Altanbulag in the Tuv Province, which is located 200km away from Ulaanbaatar city. During her stay, Emily’s daily tasks included collecting cow dung for fuel, fetching water, cutting up vegetables for dinner, fermenting the mare’s milk to make airag, and herding the animals. Apart from the projects, Emily has had the opportunity to experience more of Mongolia by travelling to the Terelj National Park and the Gobi desert with other volunteers and her host mother, managing to check out quite a few sites including museums, monasteries and temples, watching a wrestling match and seeing a ballet. “All in all, I have many memorable experiences from being at my placement, but I think the things I will remember the most are the children themselves. I really got to know each of them and learn their ways, which feels quite special to me. There are many moments that I will look fondly upon - moments that made me laugh, moments that melted my heart - but when looking back on my experience, I think I will mainly remember each child and his or her own special ways, and the bond I felt I shared with them.